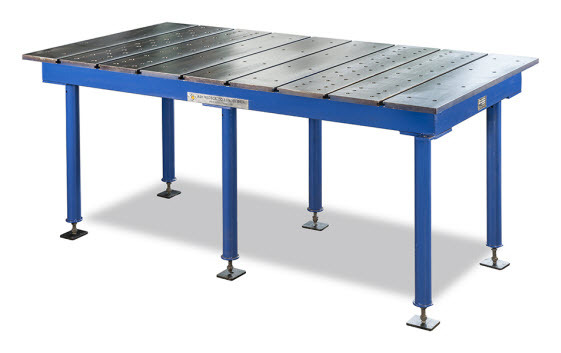 JASH is the pioneer brand in India for quality metrology products including Precision Surface Equipment (PSE) like Cast Iron & Granite Surface Plates, Angle Plates, Lapping Plates, Box Angle Plates, Straight Edges, Universal Right Angle, Work / Job Holding Fixtures & Tooling Aids viz. Cast Iron Plates & Steel T-Slotted Floor / Bed Plates, Tooling Blocks / Tooling Columns, Swivel Angle Plates, Tilting Tables etc. and Precision 3-D Measuring Machines (PMM). Founded in the year 1947 by Late Shri. Jashbhai Patel, JASH has been serving its diverse clientele for over seven decades now. A technology focused company, JASH is among leading Indian manufacturers and suppliers of Metrology and Precision Inspection and Work Holding equipment. In all these years, we have been industry recognized for our expertise at creating precise straight, flat, parallel and square surfaces at micron level. Our products are quality tested by qualified engineers and comply with the industry standards on numerous parameters including durability, resistance against distortion and dimensional accuracy. The seven decades of industry leadership, we have developed is pivoted on our relentless technological advancements and upgradation. Our products, whether standard or customized are all appreciated by our diverse clientele. Known for its reliable quality products and dependable delivery schedule, JASH manufactures all its products in-house, with cutting-edge product design facilities having 3D parametric modelling software, state-of the art manufacturing facilities including Pattern making, Foundry, CNC & other Machine Tools to ensure quality of manufacture, consistent with the best in the world. Today, we are a highly diversified Engineering Group manufacturing products for the global markets. We regard our customers’ interests as utmost important and we are sensitive to their needs. With our tight delivery schedules, regular and prompt services, we have set an industry benchmark for service quality and customer satisfaction. JASH has emerged as a single stop solution provider for a wide range of Metrology product needs of wide range of customers.